The City Quilter in NYC has amazing NYC fabric that they designed. I leave for Australia on Monday and will be shop hopping with someone I met on this blog and wanted to bring her a gift. 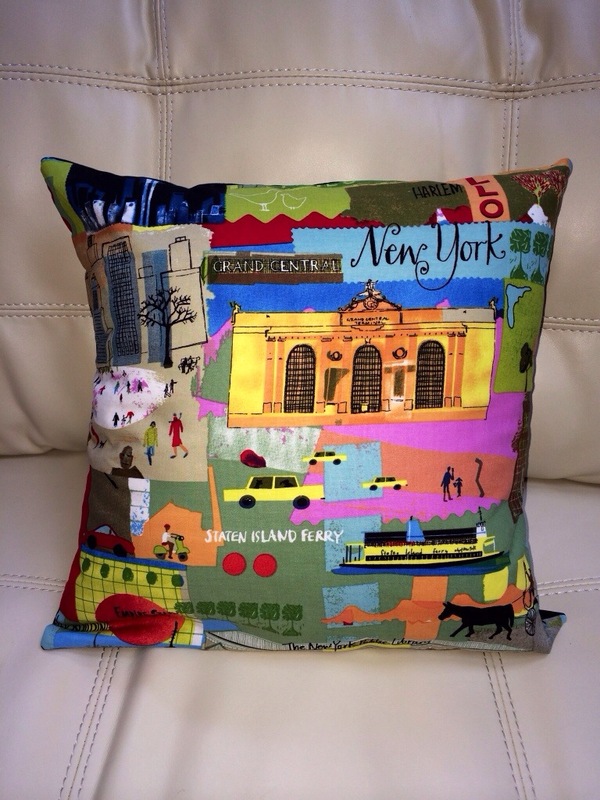 So, I made her a NYC themed pillow. 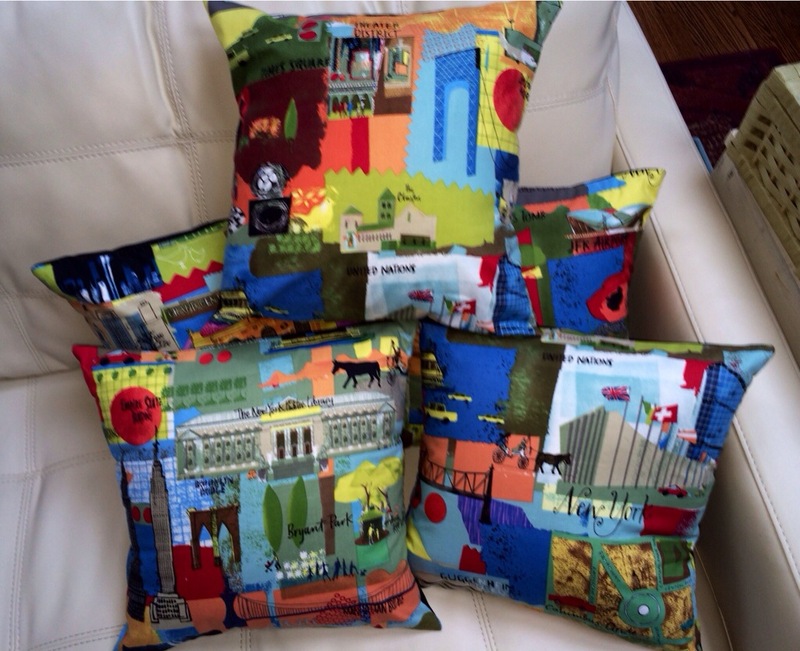 I liked the pillow so much when done, that I made five more. Honestly, these are so easy to make. 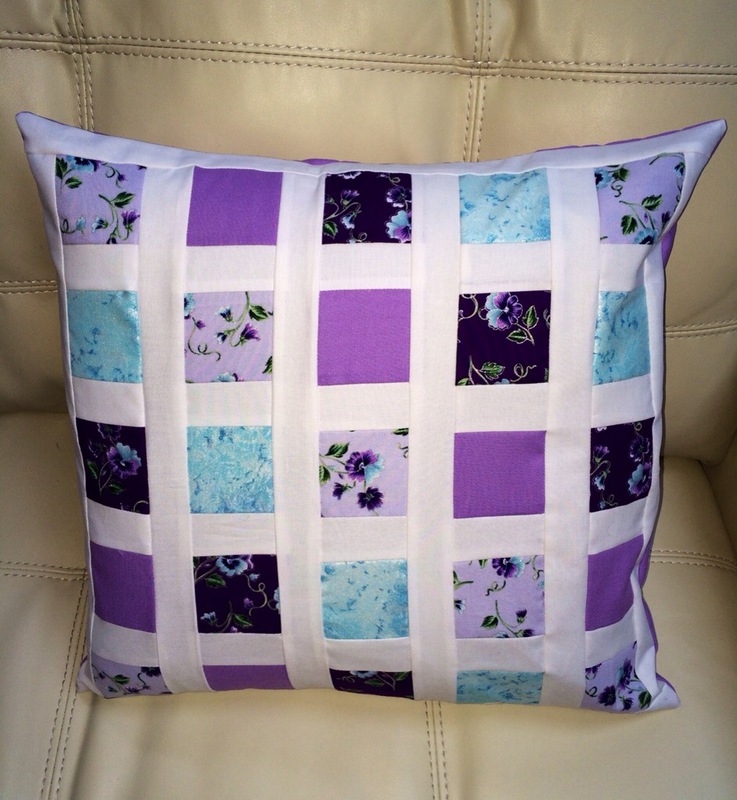 Simply cut a 14.5″ square of a fun fabric for the front, and two pieces of fabric for the back 14.5″ x 10″ each. Fold one long side of the back fabric twice, and stitch to hid the raw edge. Then, layer the two pieces for the back, right sides of the backs with the focus fabric and sew around the edges with a 1/4″ seam. Turn inside out, poke your corners, and you have a terrific pillow case that you can take off the form to wash and dry. I realize that Jane will see this post, but I had nothing else to write about (hi Jane! Can’t wait for Thursday!). In the meantime, I also finished my, “All dressed up and ready to go” pillow from last weekend. I think the outer border should have been wider but I still like how it came out. ← All dressed up and nowhere to go! I LOVE this fabric!!!!! Very thoughtful Erin because I LOVE New York!!!!!! I too am very excited about our shopping trip…….lots to see and lots to talk about. Bring your woollies because it’s turned a bit cold…….not USA cold but we are definitely in our jackets. But the sun is shining and the skies are very blue. See you the 15th.